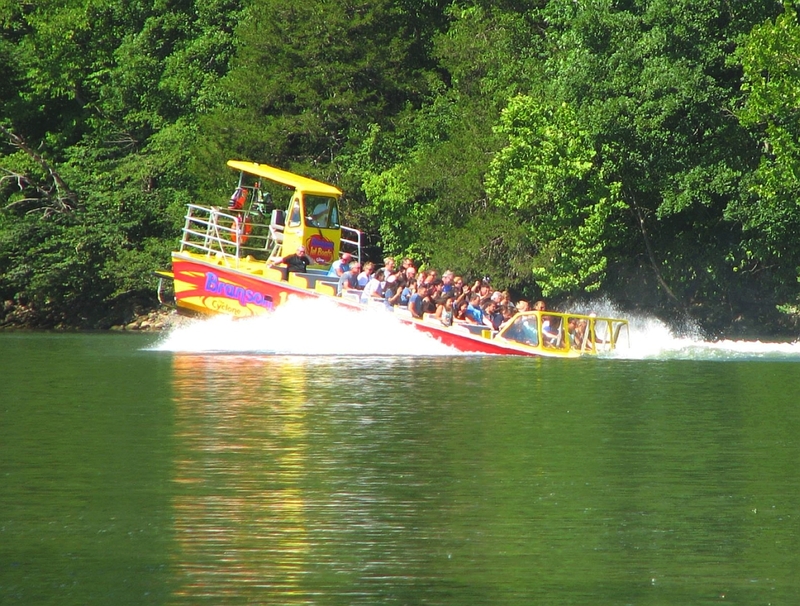 Experience one of Branson’s most thrilling new attractions as you take a ride on the Branson Jet Boats on Lake Taneycomo! 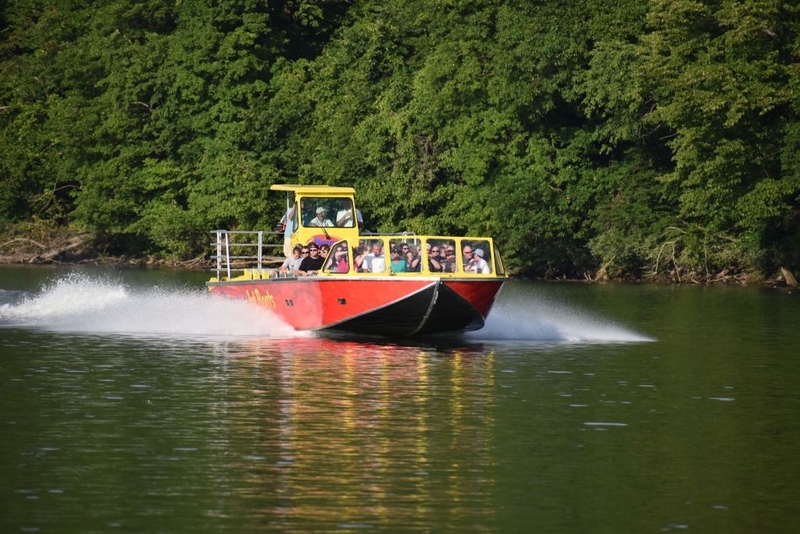 Thrilling Tour of Lake Taneycomo! 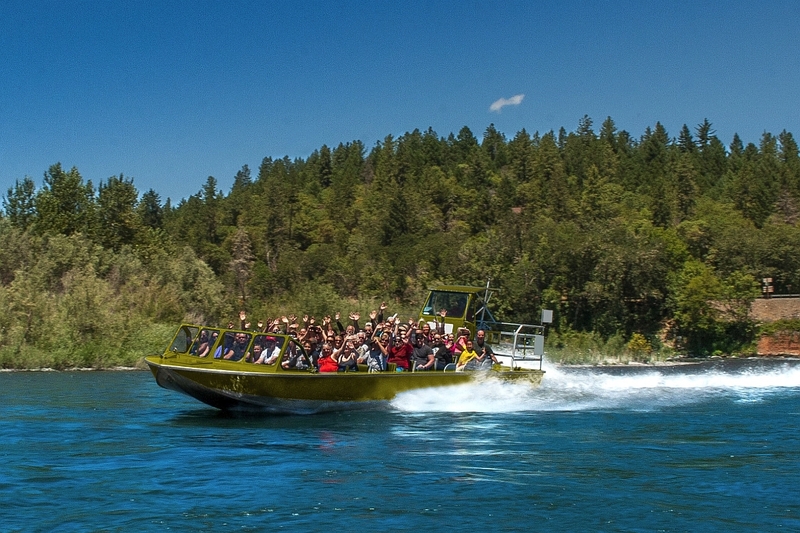 Modern & New Jet Boat! Seats up to 50 people! 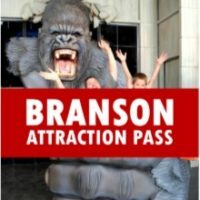 See Branson Like Never Before! 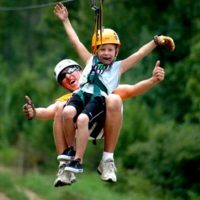 Speeds up to 35 mph! 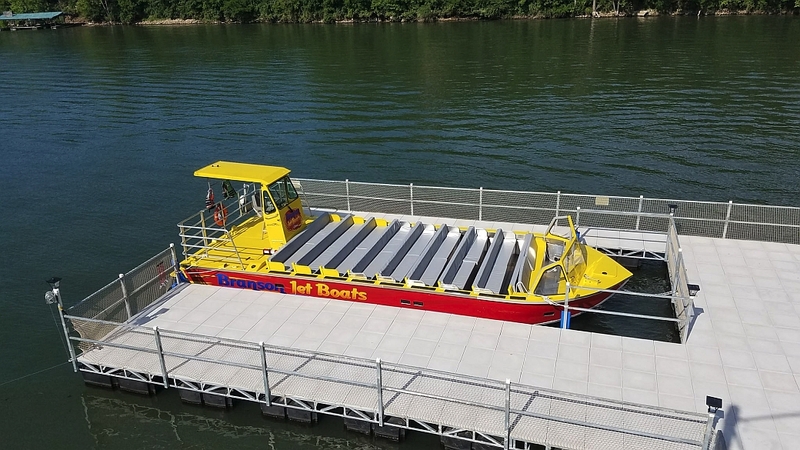 Experience one of Branson’s newest exciting and thrilling attractions as you board the one-of-a-kind jet boats at Branson Landing on Lake Taneycomo! 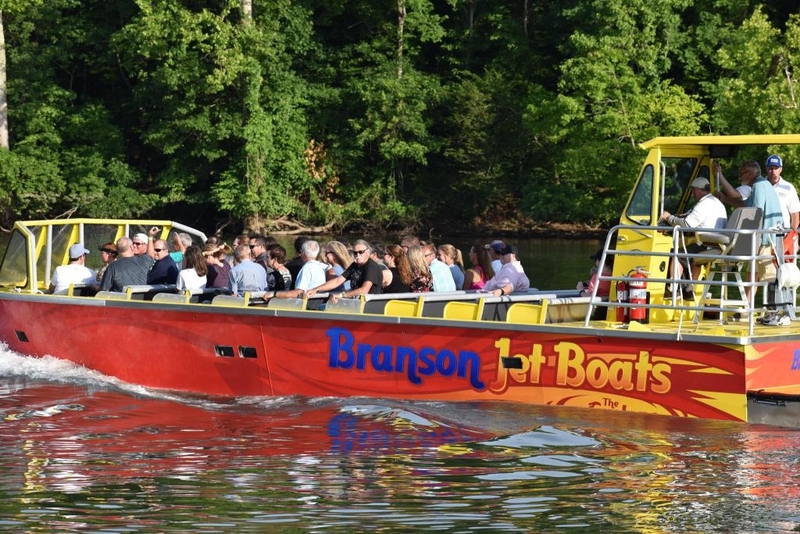 Your excursion begins as you depart from the dock at Branson Landing, beginning your once-in-a-lifetime adventure you won’t ever forget! 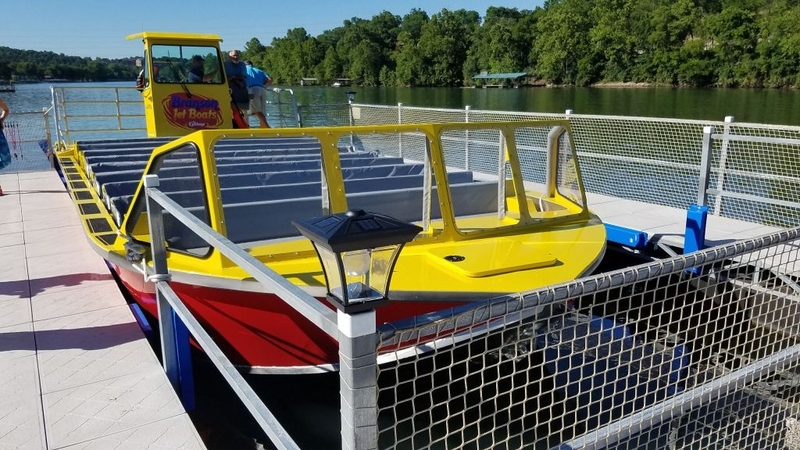 As you make your way down the famous Lake Taneycomo you will be taken on an unforgettable ride and witness the natural beauty and scenic setting of the Ozarks. 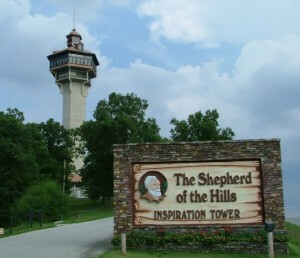 Your 12-mile trip will take you through some of the most breathtaking views of the area, with a narrated guide that will provide some insights, stories, and history about the area. 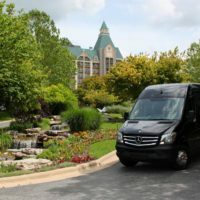 See the famous Ozark forests and bluffs, the beautiful water of Lake Taneycomo, and catch a glimpse of some of the local wildlife – no tour is ever the same and you’ll never know what you’re going to see or experience next! 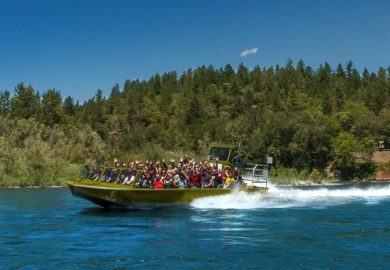 As you make your way down the lake, not only will you experience unbelievable sightseeing – you’ll also take part in some incredible thrills that is sure to get your adrenaline pumping! 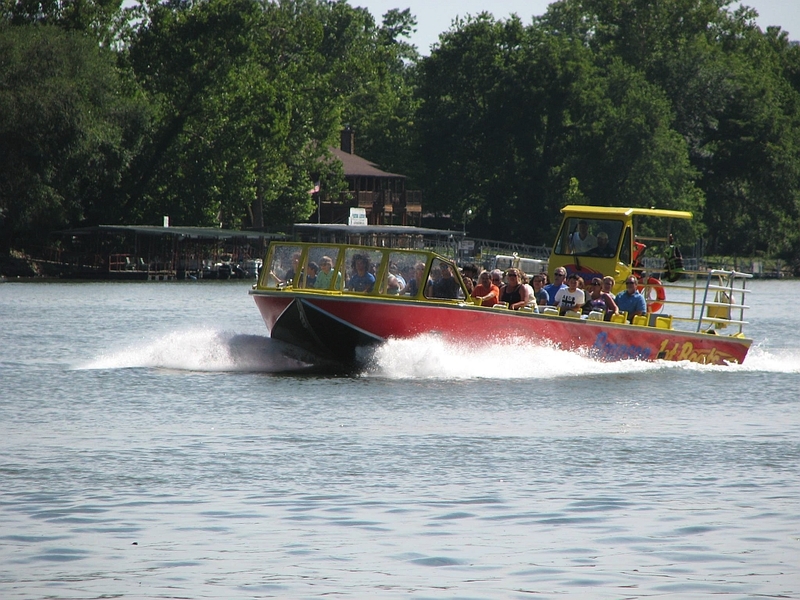 Your hour-long tour will have you zooming down the lake at speeds of up to 35 mph – with sliding, skidding, 360-degree turns, bow dips, and power stops – making it one of the most thrilling experiences you’ll ever have on land or sea! 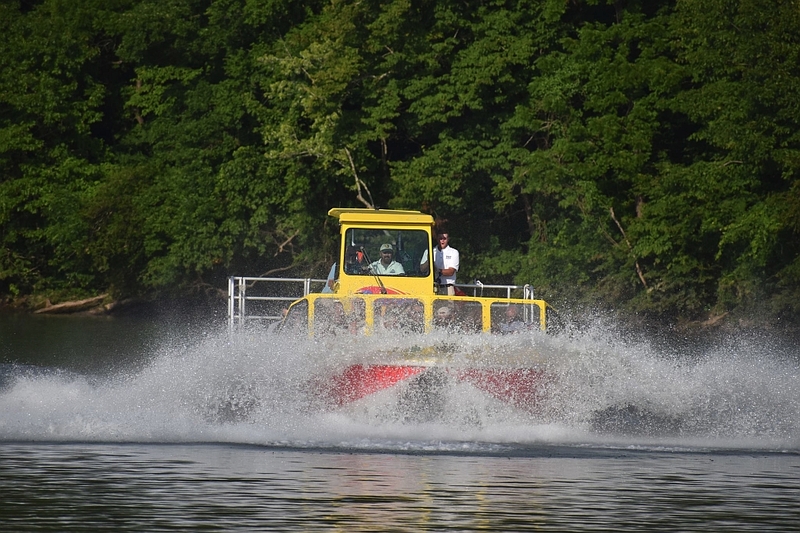 Combining the fun and excitement that comes from the rush of speeding down the river to the unmatched sightseeing – this is a cruise you have to experience for yourself to truly appreciate! 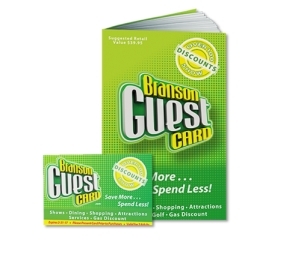 Your complete safety and comfort is of utmost importance! 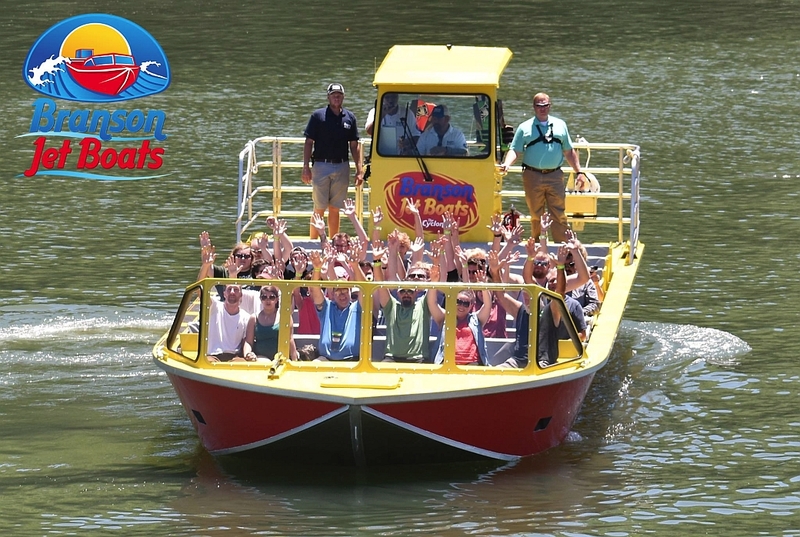 Every tour guide and boat captain is US Coast Guard Certified and trained, while younger children must wear life vests and other passengers are given their own life vest access and instructions when they board – the tour is designed to be as safe and comfortable as possible! 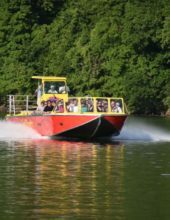 Clothing: Comfortable clothing… and it is a thrilling boat ride so lightweight or water clothing is recommended as you will get a little wet! 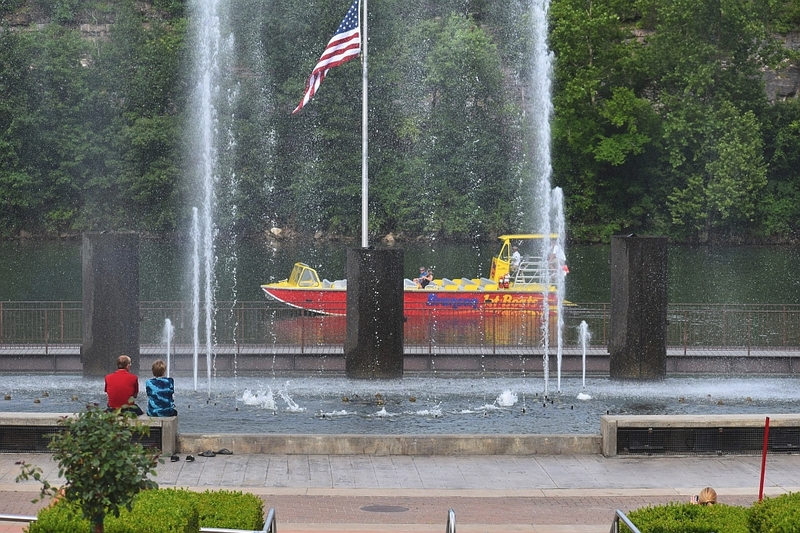 Arrive early: We recommend arriving at least 15 minutes early prior to your tour. 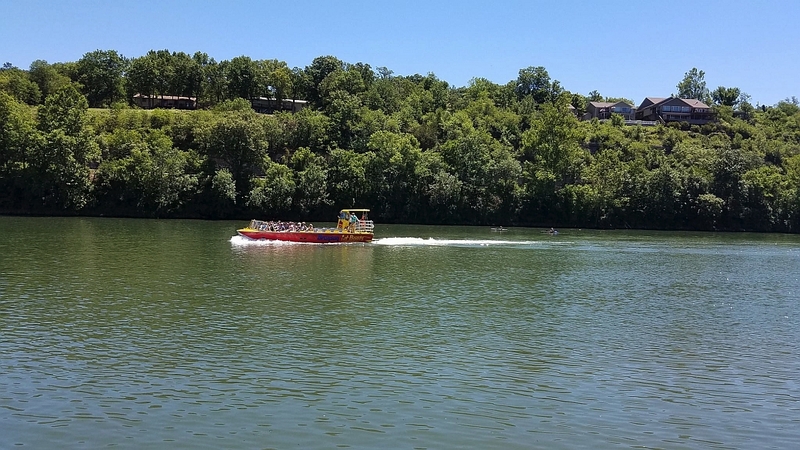 Went with 4 adults and 4 kids (ages 3 to 7) and had a great time! 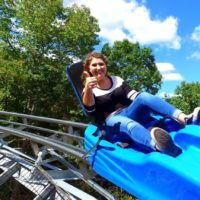 Not sure what I was expecting, but definitely a lot more fun than I had thought – would 10/10 definitely do it again!